A four goal performance at the KHL All-Star game this weekend highlighted the reason why the New Jersey Devils miss Ilya Kovalchuck. In a losing effort Sunday, Kovalchuck, the captain of Team West lit the lamp four times, meanwhile the team the Russian Sniper had committed to, struggles to score. The Devils currently sit 27th in the NHL with 2.23 goals per game and 26th with 69 5-on-5 goals. In fact the drop in the Devils offence can be traced back to Kovalchuck’s departure from the team. The 31-year-old’s last stint in New Jersey came back during the 2012-13 lockout shortened season. While the league and the Player’s Association worked to find a deal, Kovalchuck signed on with SKA St. Petersburg of the KHL. He was immediately named captain of the team and had 18 goals and 42 points in 36 games. Things were going good for Kovalchuck in Russia, too good. 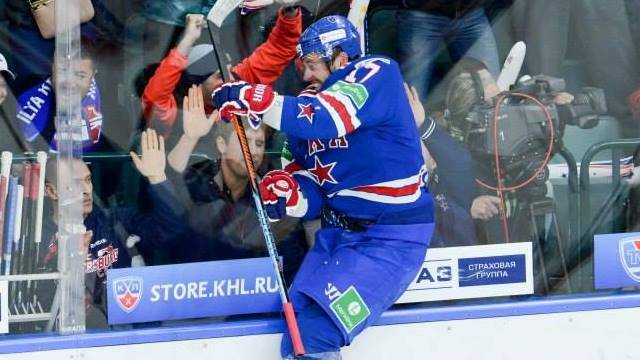 There was signs that Kovalchuck might not be interested in playing in the NHL anymore when he decided to stick around in the KHL to participate in the league’s All-Star game during the 2012-13 season, even after the NHL lockout had come to an end. He would eventually return to the Devils where he had 11 goals and 31 points in just 37 games. And once the season was over Kovalchuck announced that he was retiring from the NHL. What was surprising and disappointing to the Devils was the fact that just three years prior, the winger had signed a 15-year $100 million contract with the team. The deal came after the Devils had agreed to a 17-year deal for $102 million contract, which was then rejected by the NHL and the team was punished by the league for violating the cap restrictions. What is clear is that the Devils were committed to Kovalchuck and were hopeful he would be the face of the franchise. That never panned out and the team suffered for it. 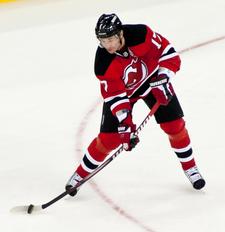 During the 2011-12 season he had 37 goals and 83 points in 77 games with the Devils. The team finished 15th in the NHL in goals-for. The following season during the lockout year, the team dropped to 28th in scoring, and then 27th where it has been the last couple seasons. Kovalchuck has recorded 89 points in 88 games over the last two seasons in the KHL. He signed a four-year contract with the KHL for the 2013-14 season and though no dollar amounts were made public, it is believed the contract was similar to the one he signed with the Devils at roughly $10 million per season. In the past two seasons in the KHL Kovlchuck has tallied 39 goals and 89 points in 88 games, including this year where he has 23 goals and 49 points in 43 games. This year Adam Henrique leads the Devils in scoring with 26 points in 40 games. While only two players this year have double digits in goals, Henrique has 10 while Mike Cammalleri leads the club with 15. Last year only two players had more than 20 goals. During his time in the NHL Kovalchuck was one of the league’s most prolific goal scorers. He won the Rocket Richard Trophy along with Jarome Iginla and Rick Nash during the 2004 season with 41 goals. He played 11 seasons in the NHL where he finished with 417 goals and 816 points in 816 games. And he is the fifth-highest scoring Russian of all-time and has the 18th highest goals per game in NHL history (.511). If there some good news it is that Kovalchuck could return to the NHL for the 2018-19 season if he wants to. Under Bylaw 8.5 (C) the 31-year-old can return to the NHL after he turns 35. After then he will be removed from the “voluntary retired list” and will become an unrestricted free agent and could sign anywhere. However, unfortunately for New Jersey that doesn’t guarantee he would return to the NHL or even to them. The Devils have the third-worst record in the Eastern Conference and their lack in offence is a big reason for that. The team would really love to have Kovalchuck back to help turn the tide.